Lincolnesq teaches only one course (with a version for attorneys and another for paralegals) so that we can invest the time and other resources into making The Art & Science of Persuasive Writing and Write Like a Lawyer as close to perfect as possible. The course was created by Professor Matthew R. Litt, Esq. Matthew combined his years of academic experience as a writing professor at Seton Hall Law School with his practical experience as Appellate Practice Chair at one of New Jersey's largest law firms to design a course that is dynamic, engaging, and eminently useful. 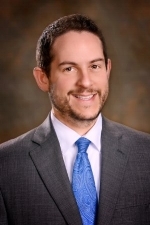 Matthew graduated from the University of Connecticut School of Law in 2002, and is actively licensed to practice law in the State and District Courts of New York and New Jersey, and the 3rd Circuit Court of Appeals. The Art & Science and Write Like a Lawyer are full-day courses that will change the way you think about and approach legal writing. The courses provide lawyers and paralegals at all levels of experience with innovative techniques to improve their writing. But even more importantly, the course re-ignites your enthusiasm for persuasive writing so you return to the office the next morning looking forward to writing your next brief! The course's timed agenda is below. We are constantly analyzing our seminar and looking for ways to improve our attendees' experience and takeaways - we therefore reserve the right to alter this agenda. Differences in CLE accreditation rules (50 minute vs. 60 minute credit hours) between states may alter the timing below. 9:40 a.m. to 10:00 a.m. The Key to Persuasive Writing – What is your Why? 12:00 p.m. to 1:00 p.m. In Their Own Words - What do Judges (and Law Clerks) Want? Working with Lincolnesq is a great way to raise funds for your Association and provide a unique program to your members. We team up with Bars and Paralegal associations because we believe these associations are the bedrock of our profession - Lincolnesq feels good about helping you raise money to support the initiatives that are important to you and your members. Plus, your Bar or Paralegal Association already has a mailing list; the less time we have to spend marketing our seminars means we have more time to devote to expanding and improving our content.